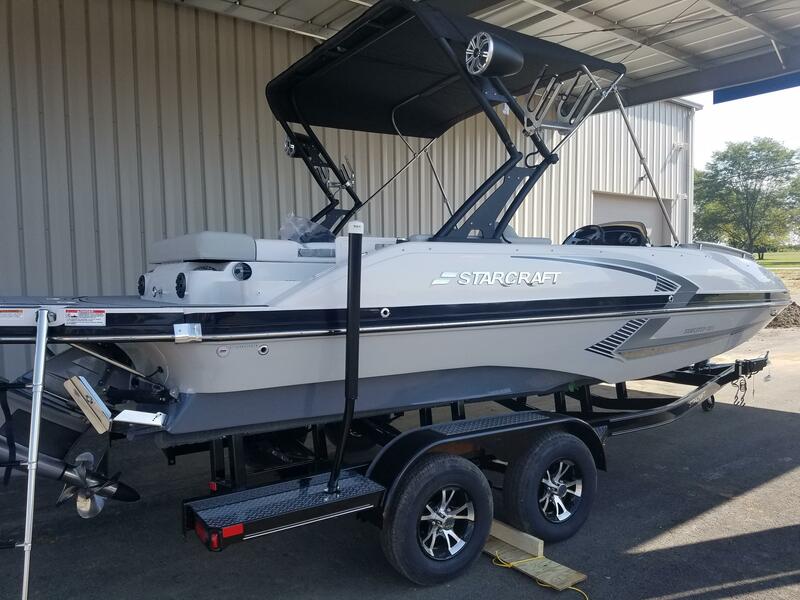 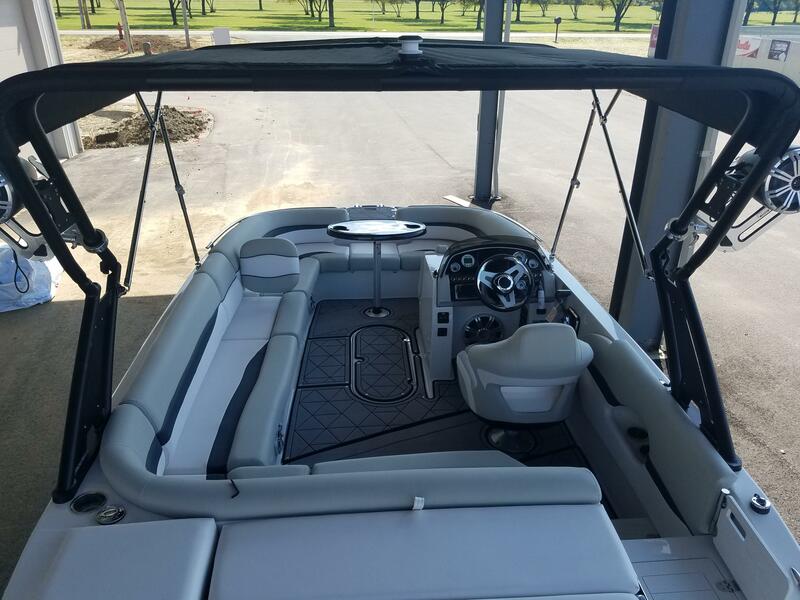 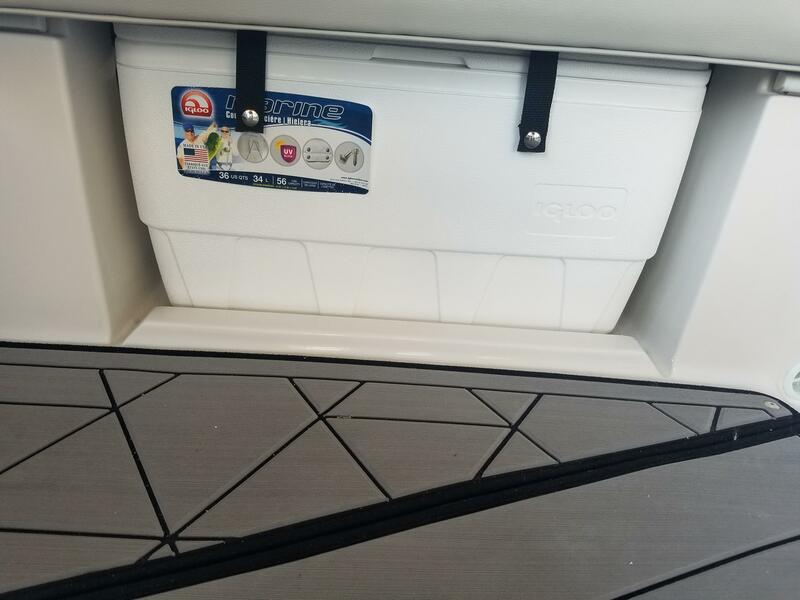 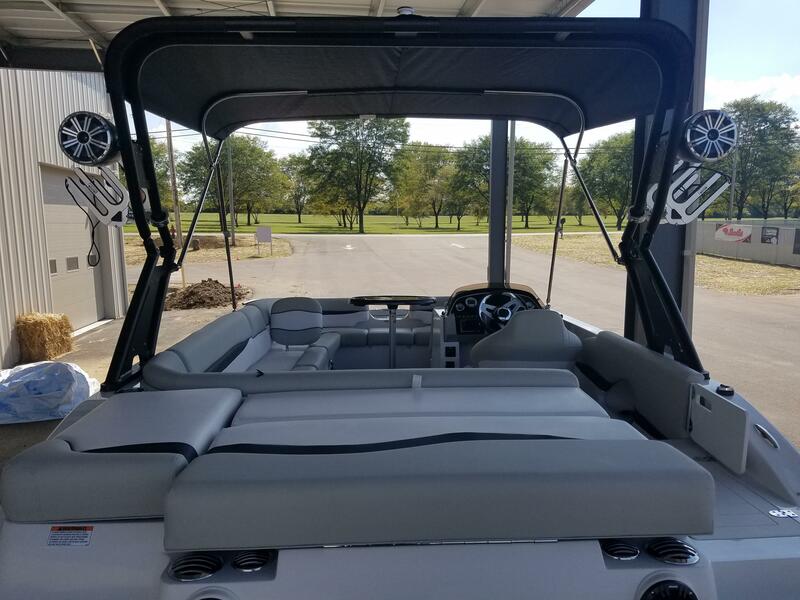 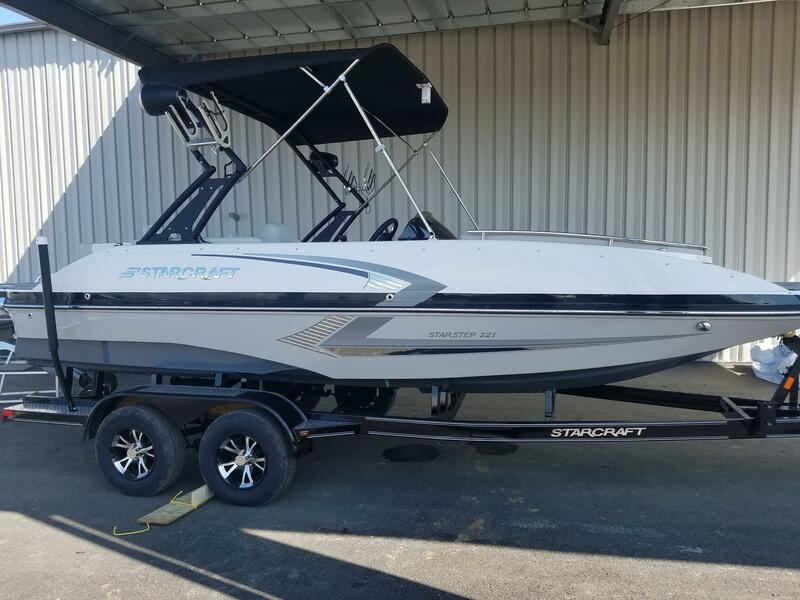 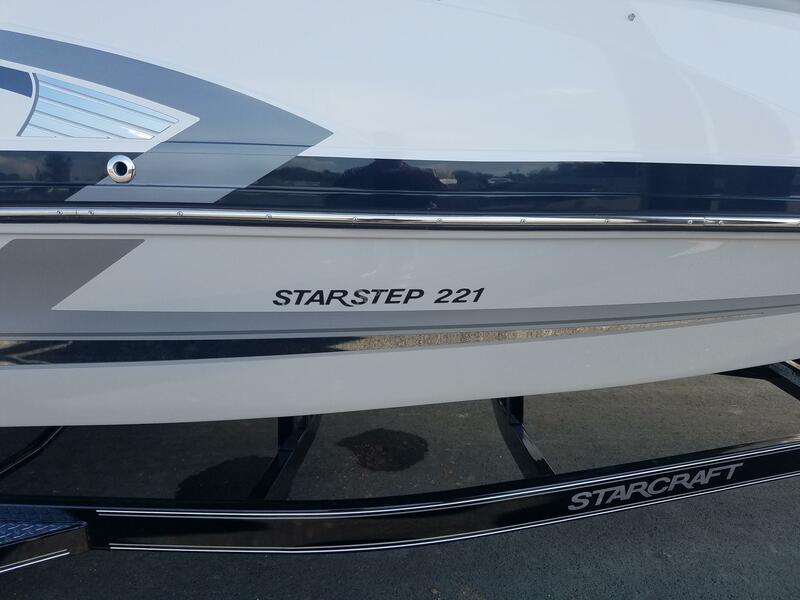 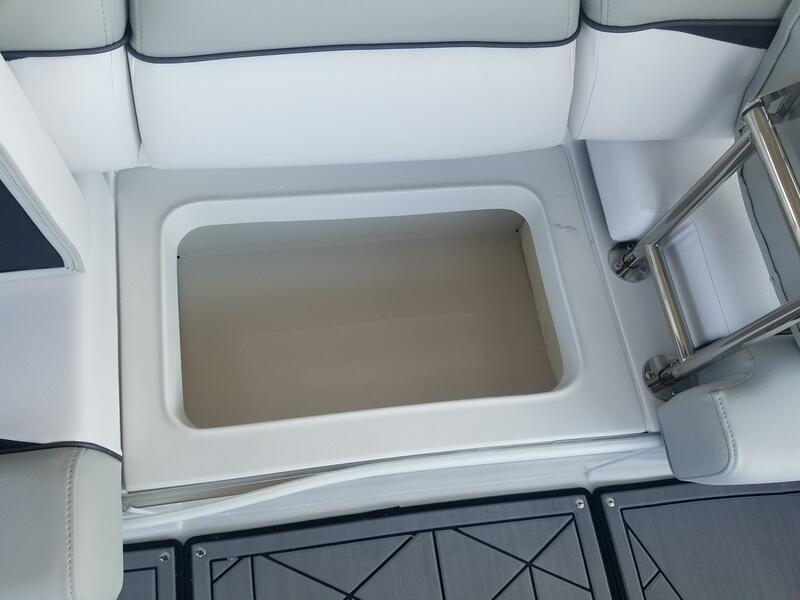 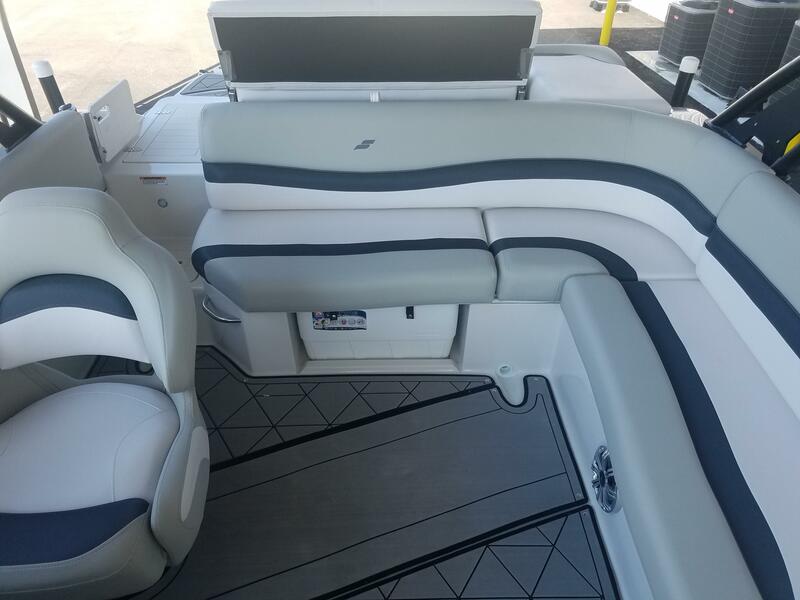 Here is a 2019 StarCraft StarStep 221 I/O Surf deck boat. 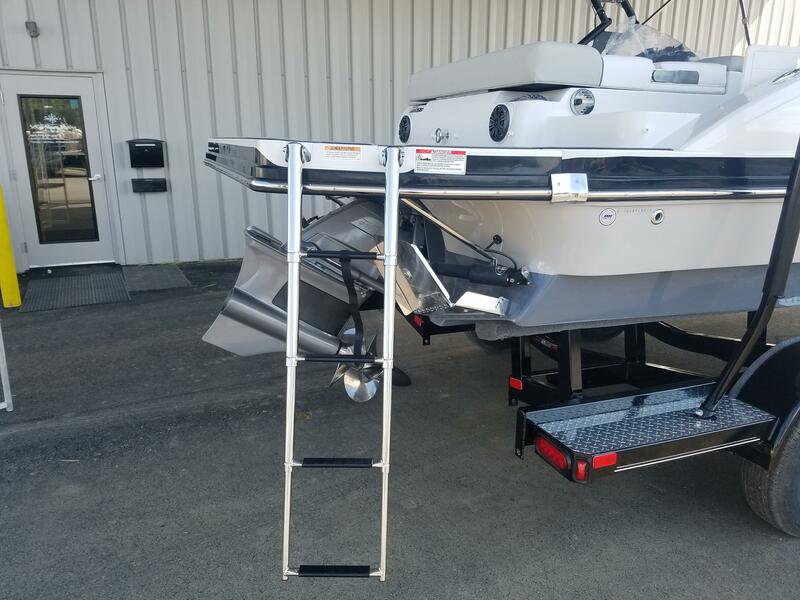 The 221 measures in at 21 feet 10 inches long, has a 102 inch beam, has a 51 gallon fuel tank and has a max capacity of 13 people. 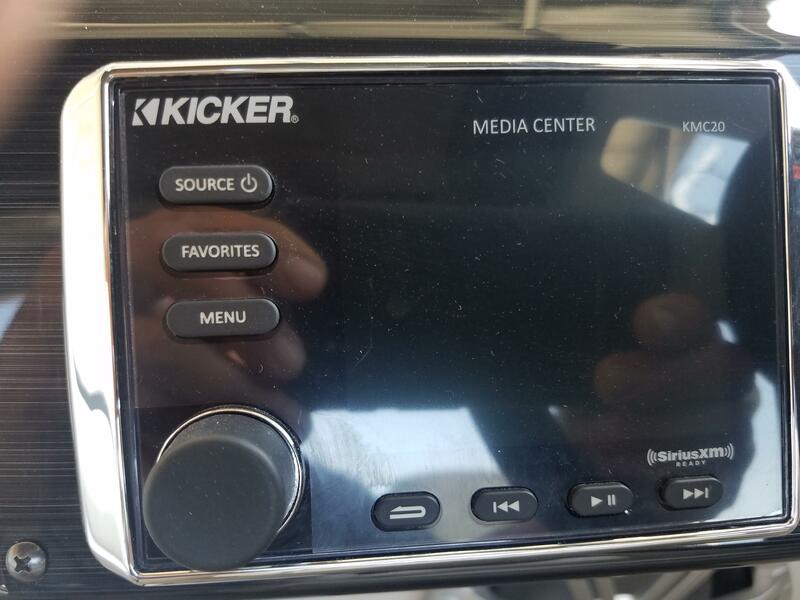 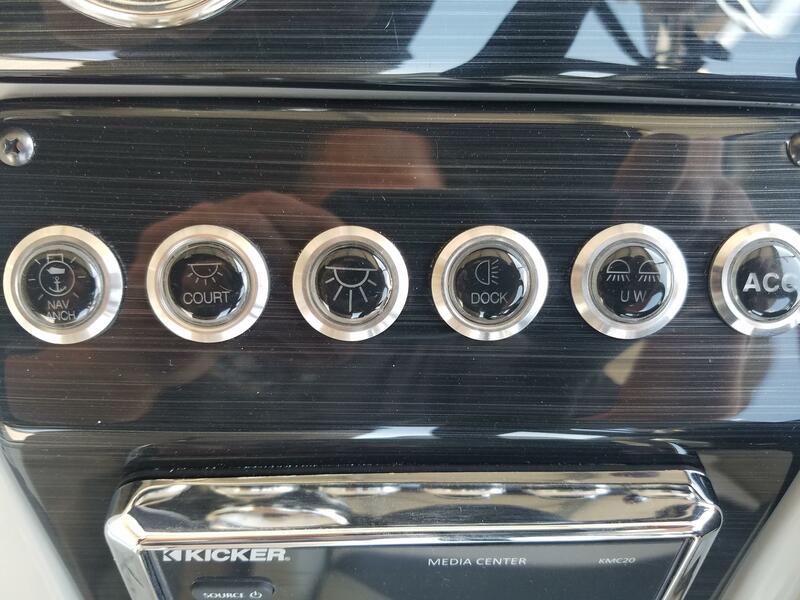 This unit comes with some awesome upgrades like the LX package. 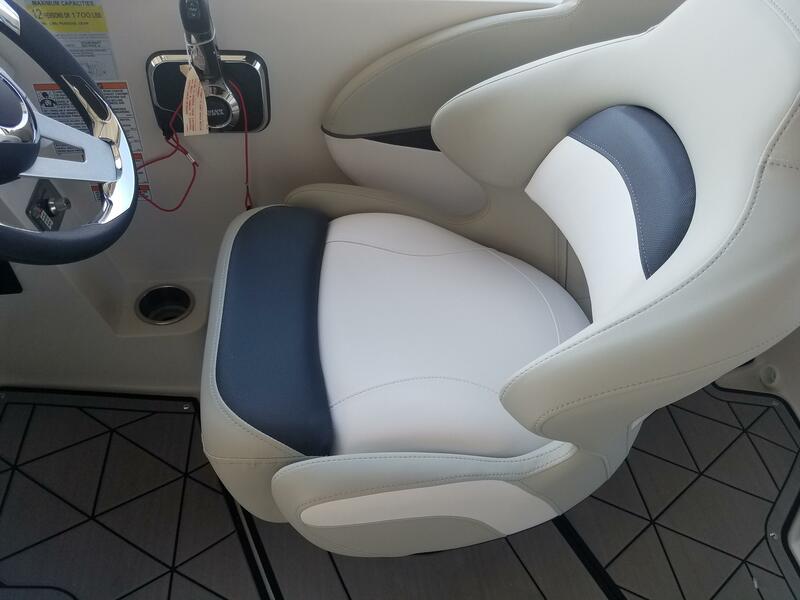 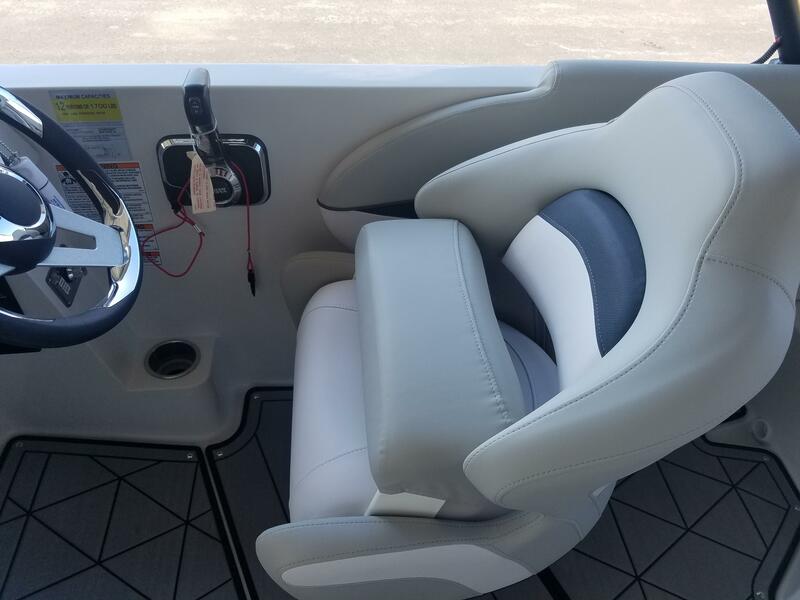 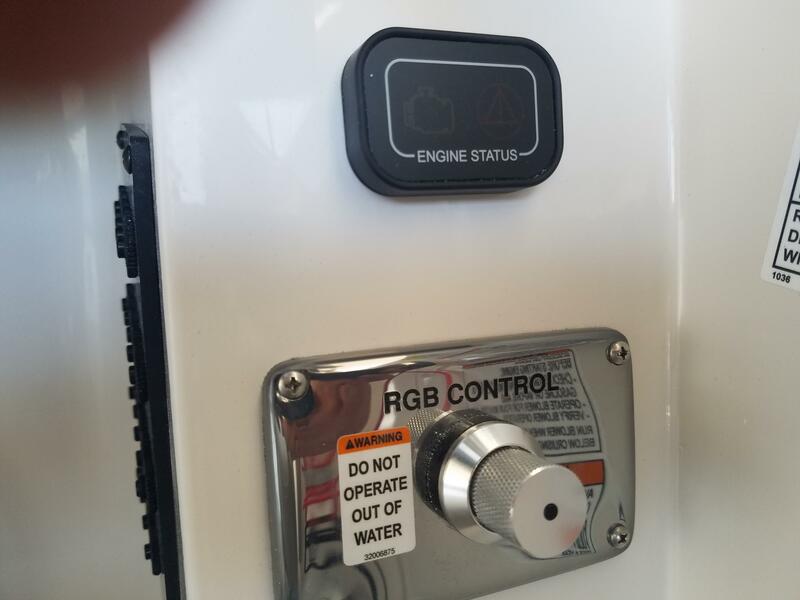 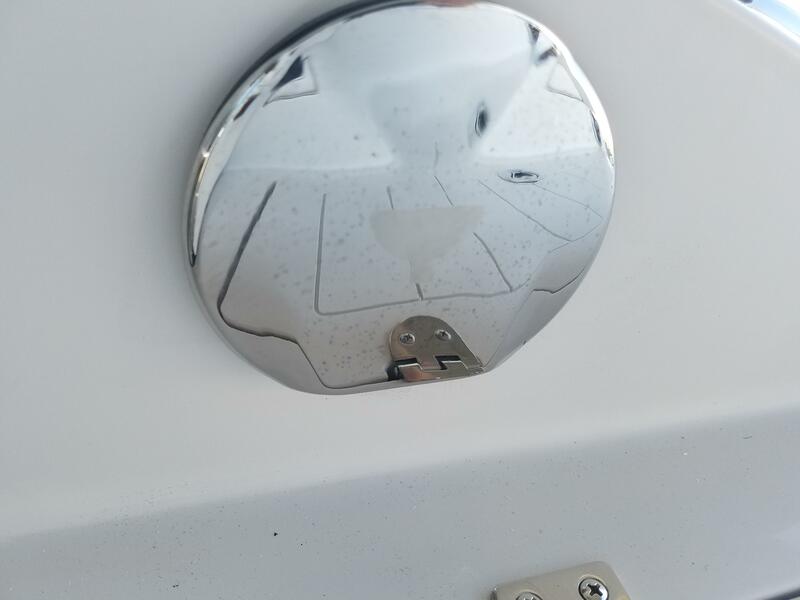 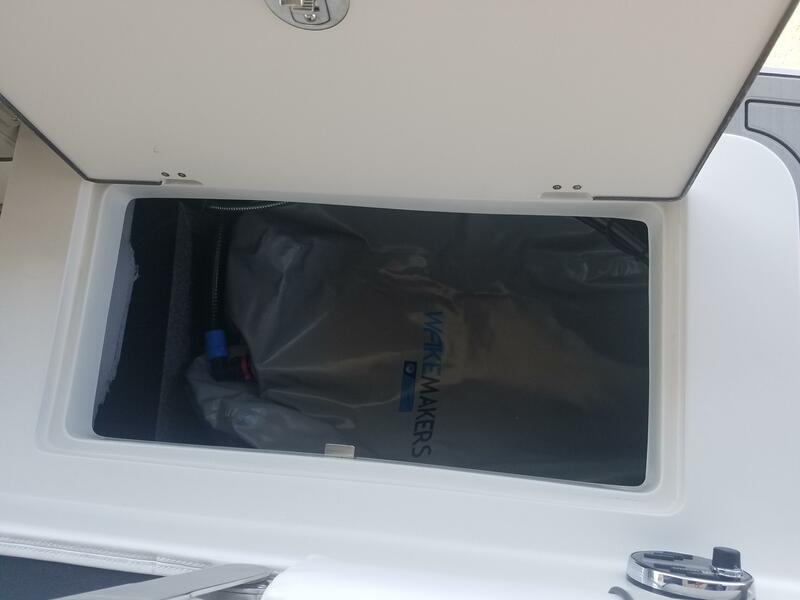 This package gives you LED color changing speakers, cup holders, underwater lights and courtesy lights, a transom remote touch pad and a pressurized transom shower. 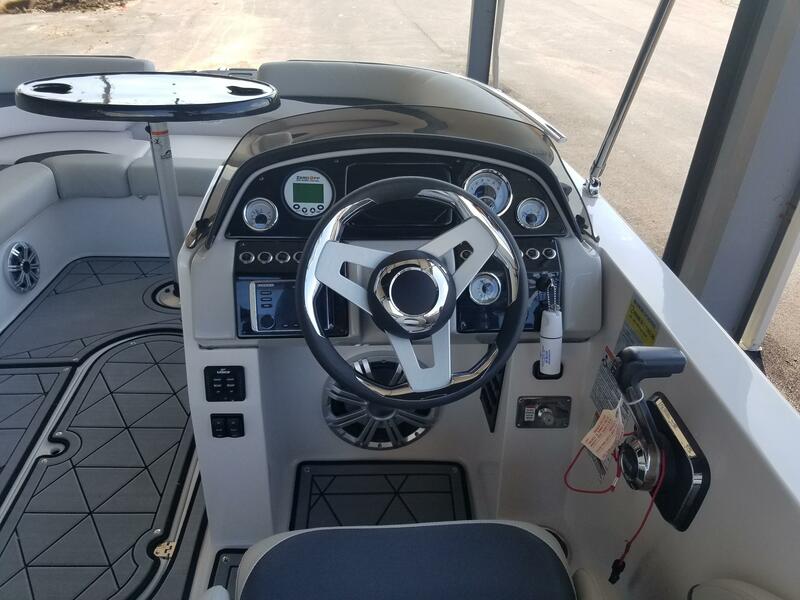 Also upgraded in this boat is a engine dual battery switch, cockpit cover and a tow, stereo and speaker package. 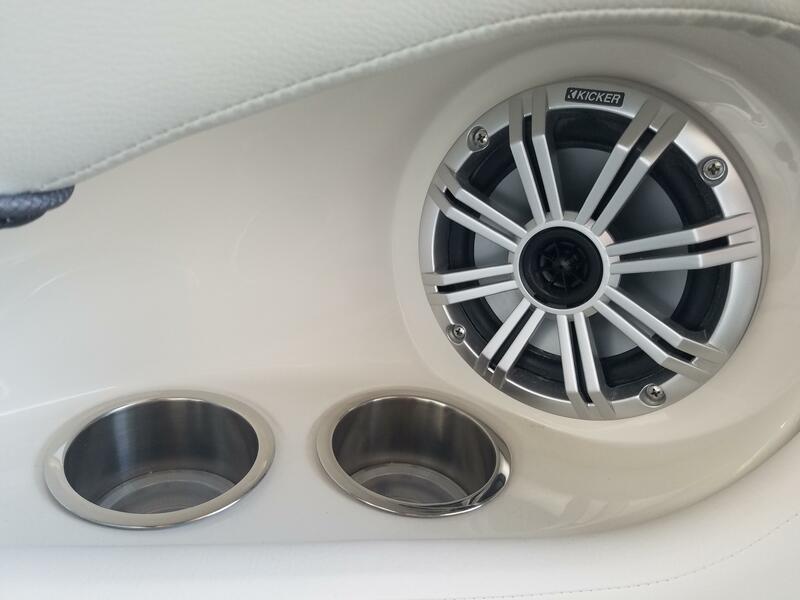 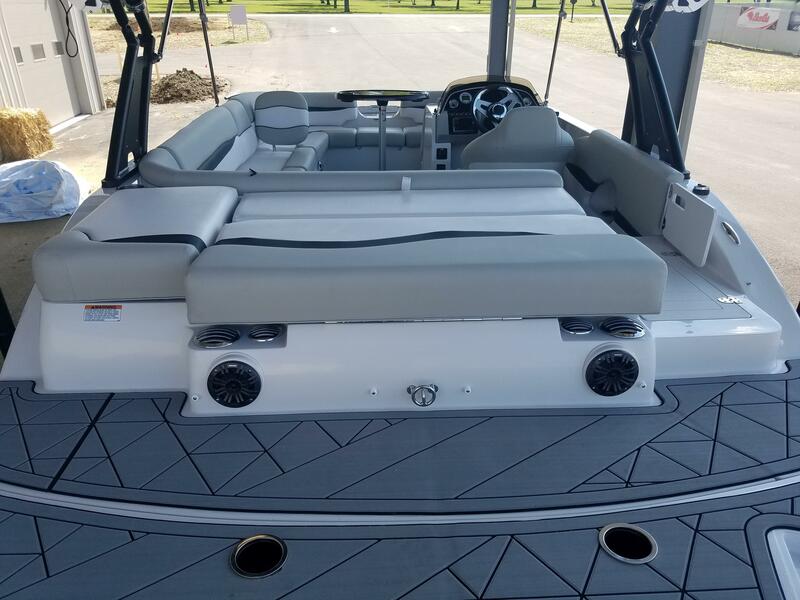 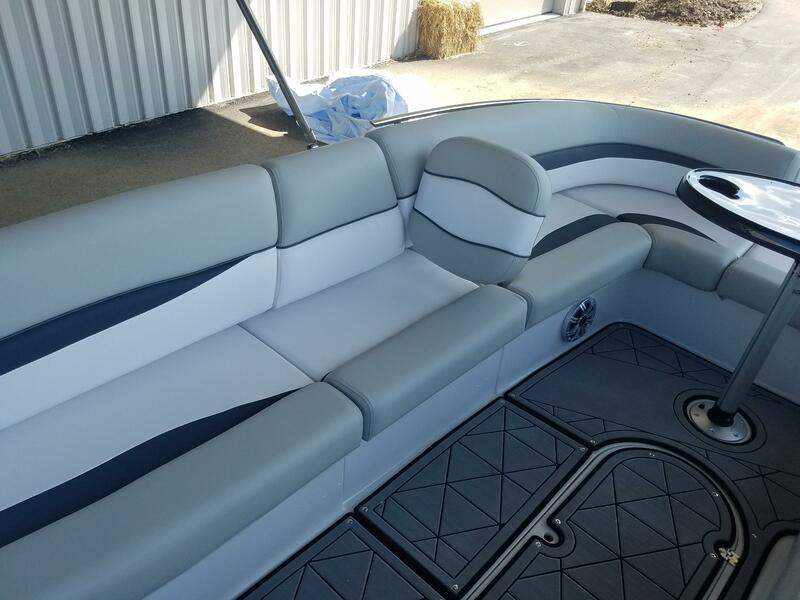 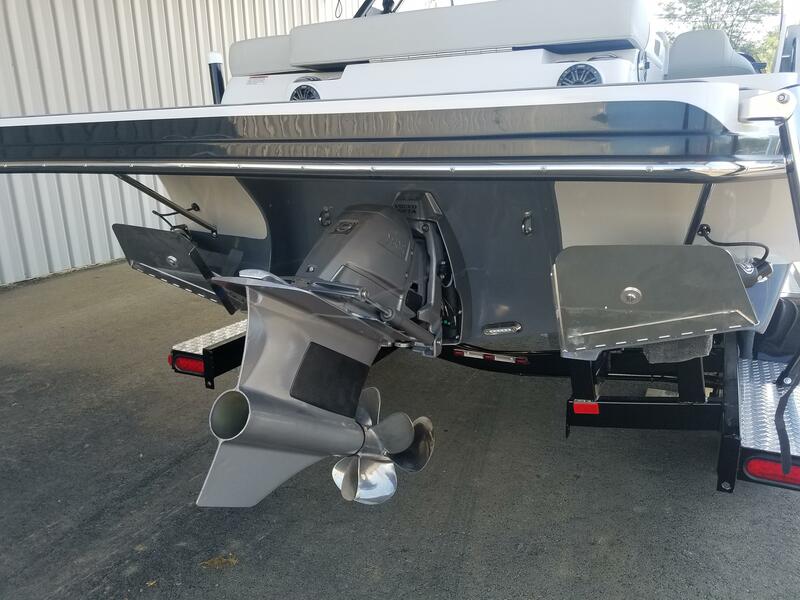 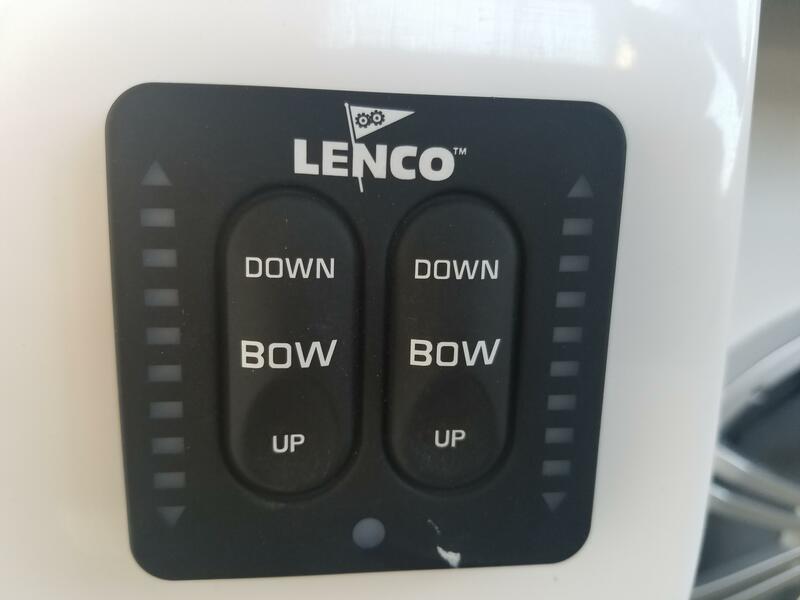 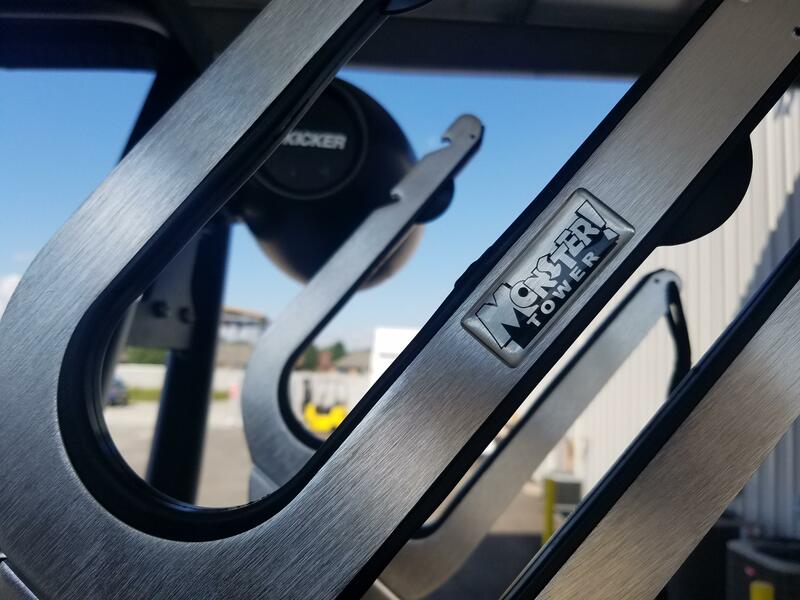 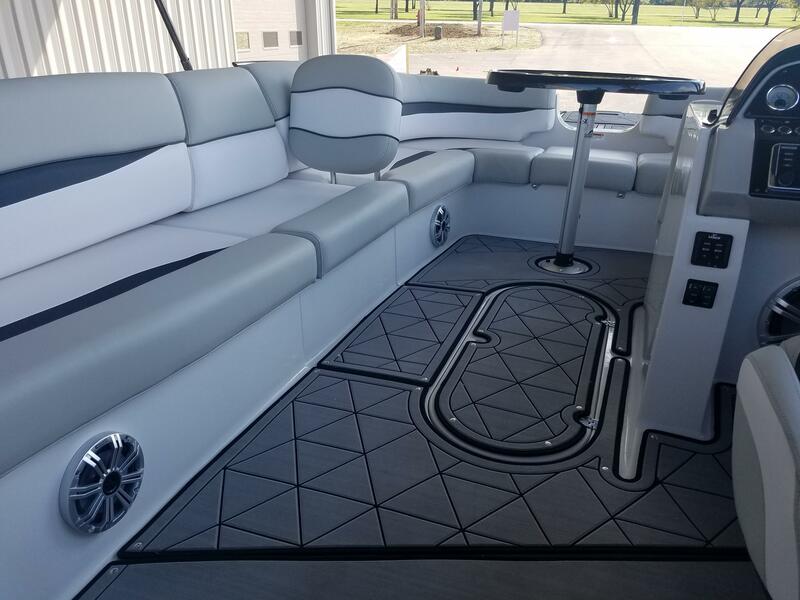 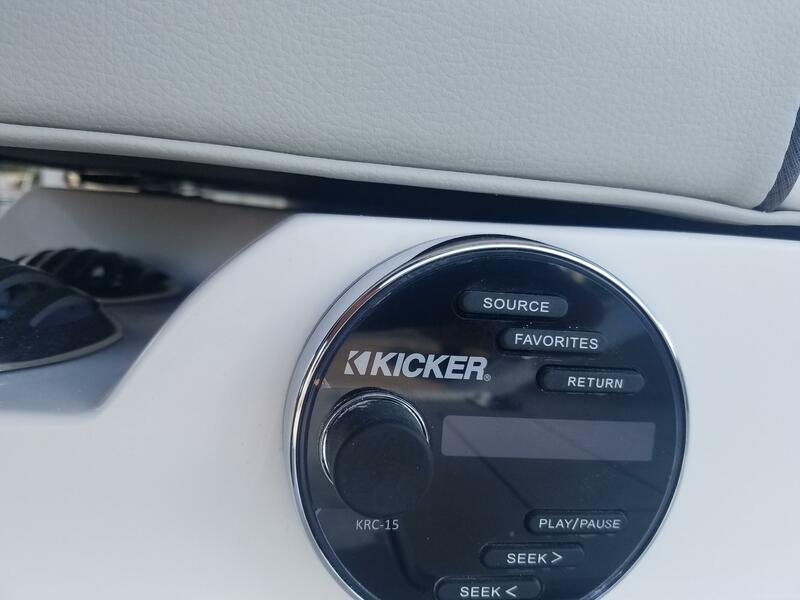 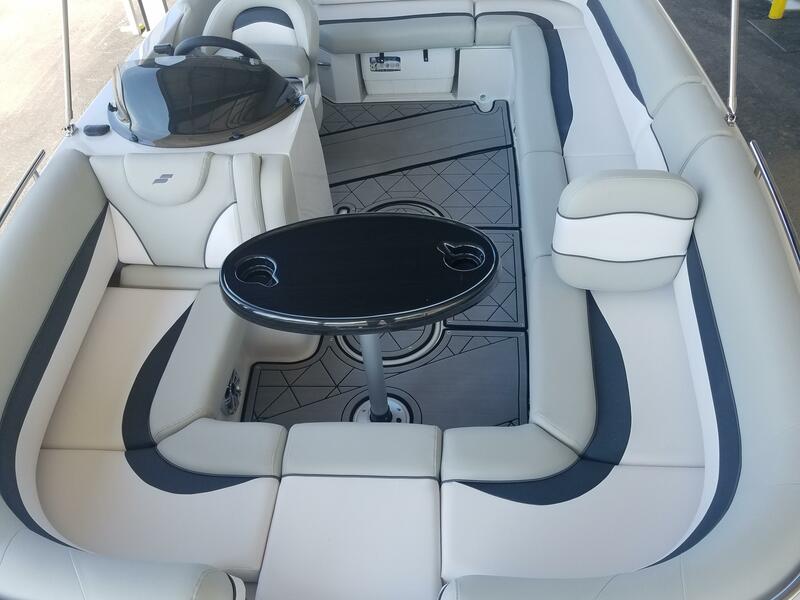 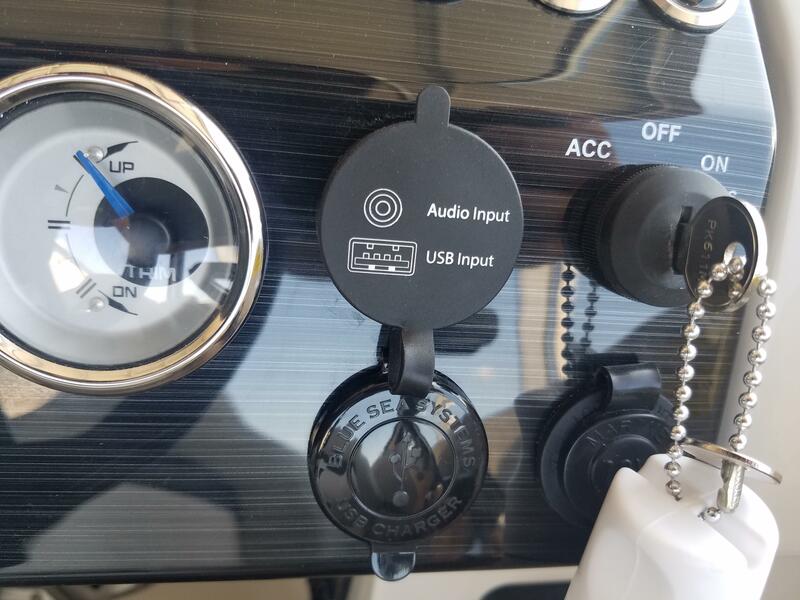 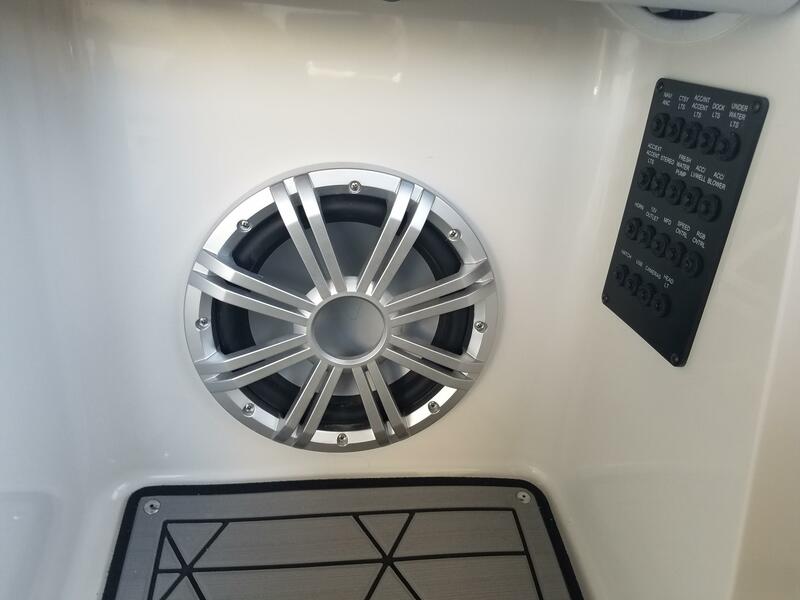 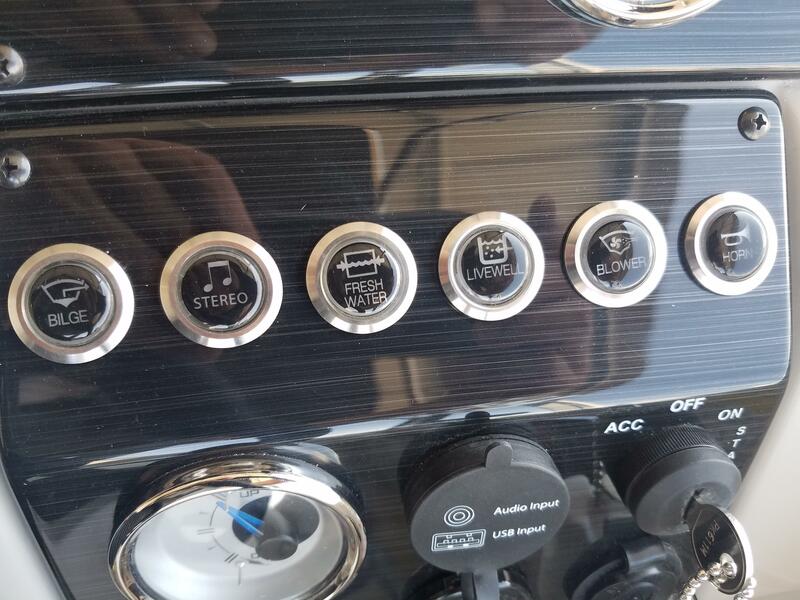 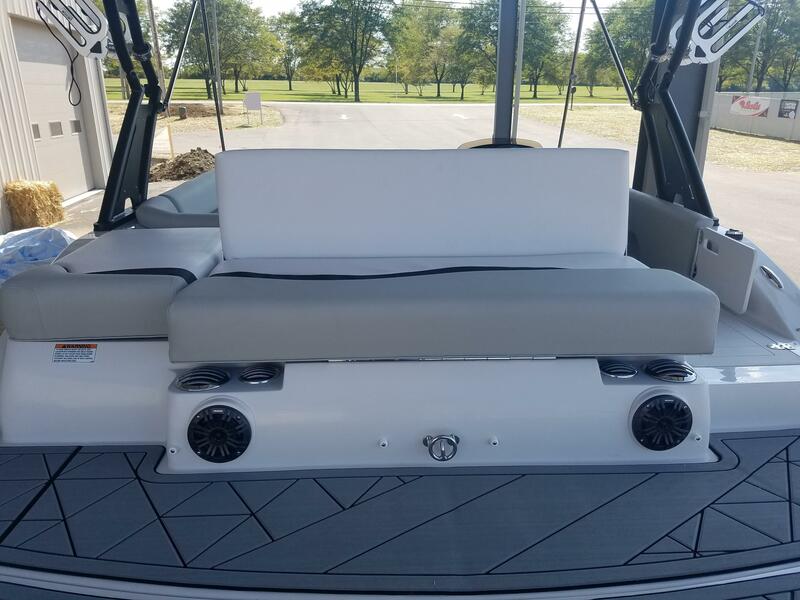 This package includes a wake tower, wake tower bimini, wakeboard racks, wake tower kicker speakers, kicker stereo, kicker speakers, kicker subwoofer and amplifier. 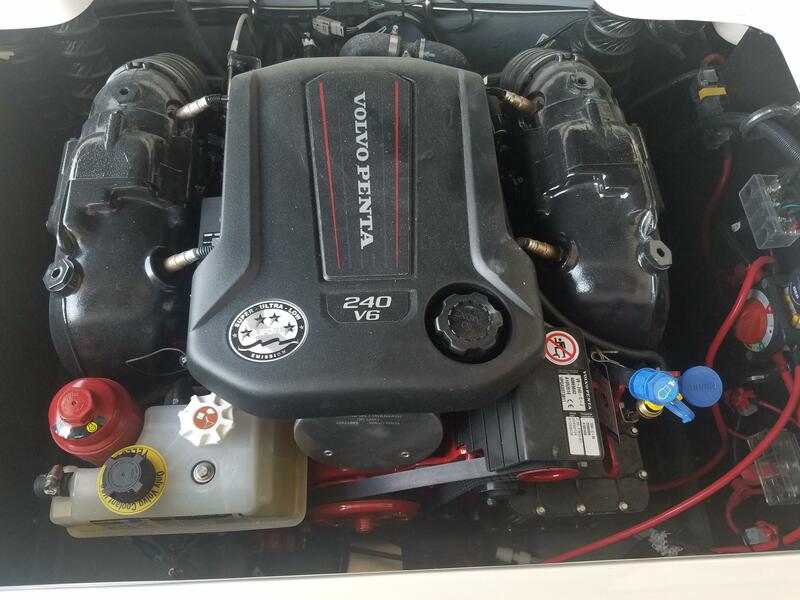 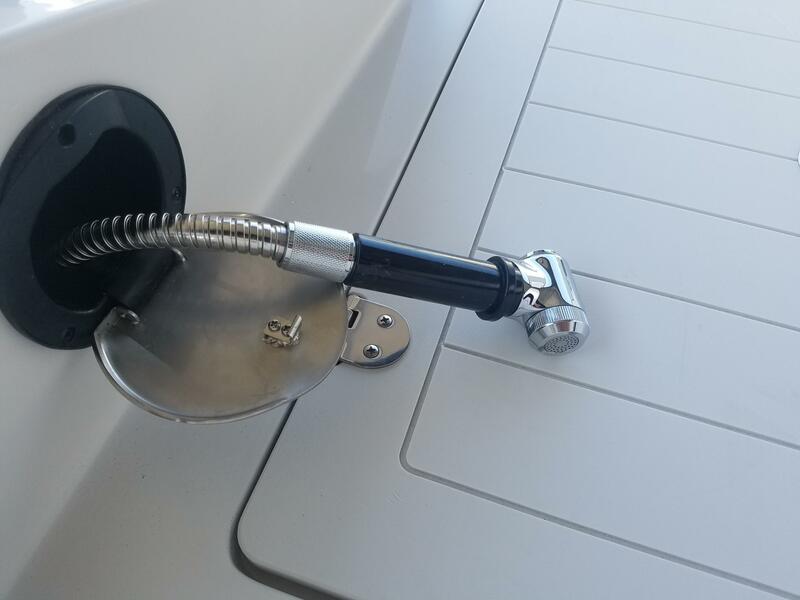 This boat is powered by the 4.3 Liter Volvo Penta forward drive. 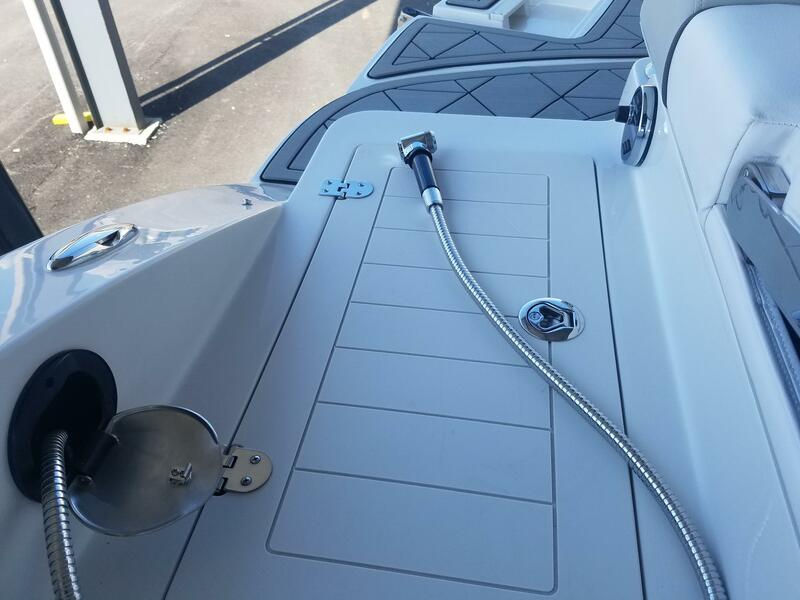 This awesome engine makes this boat not only a great running deck boat, but also allows you to surf behind it as well. 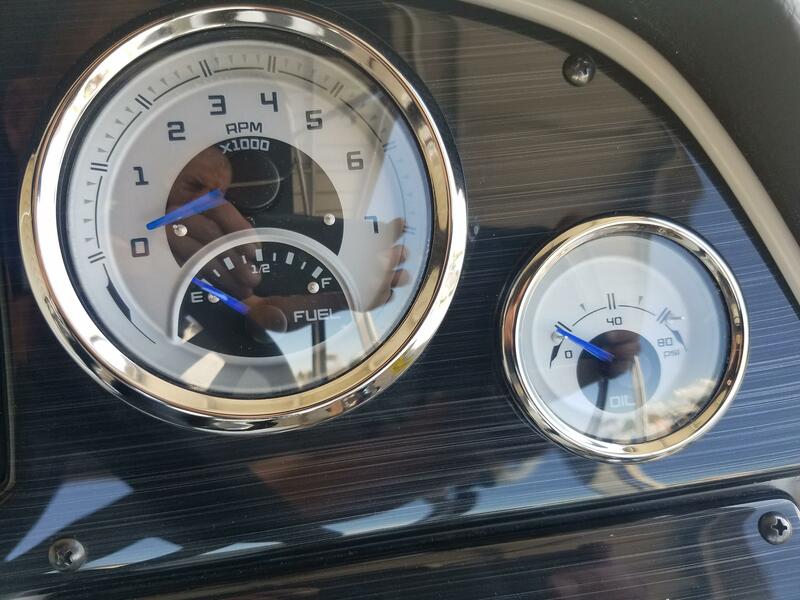 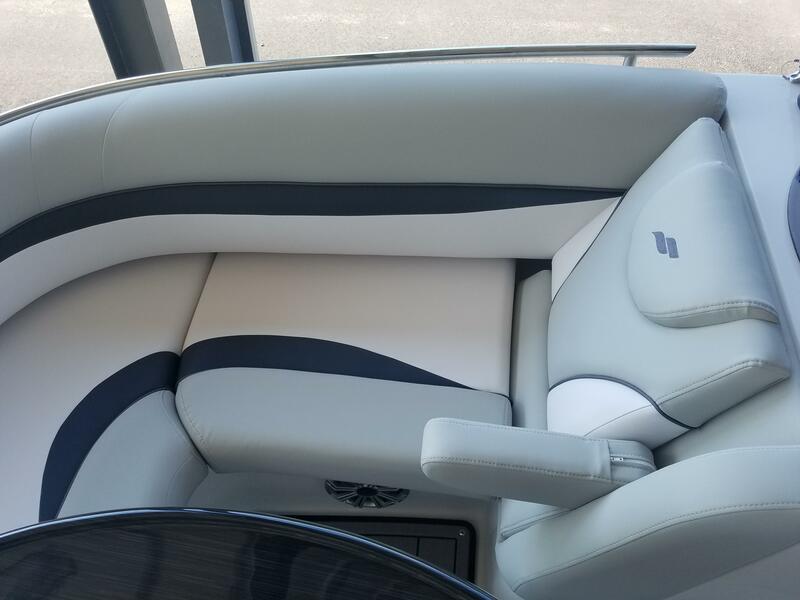 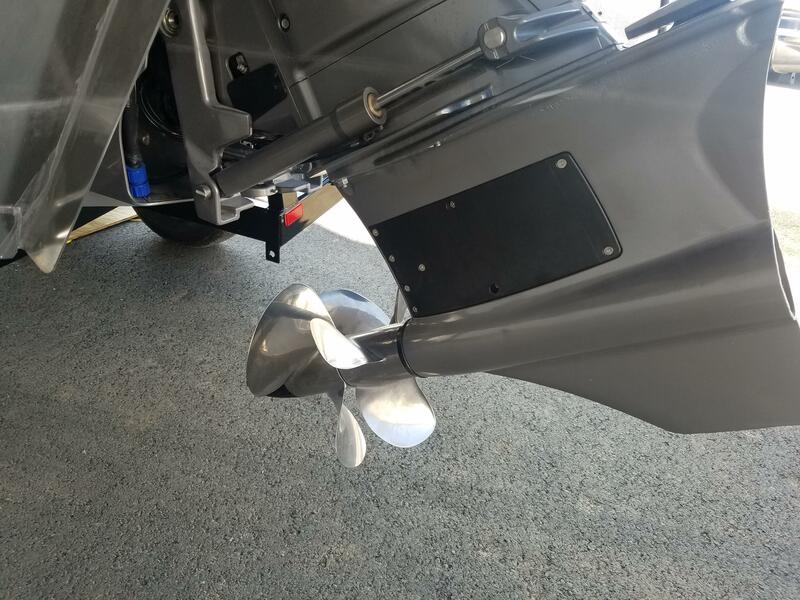 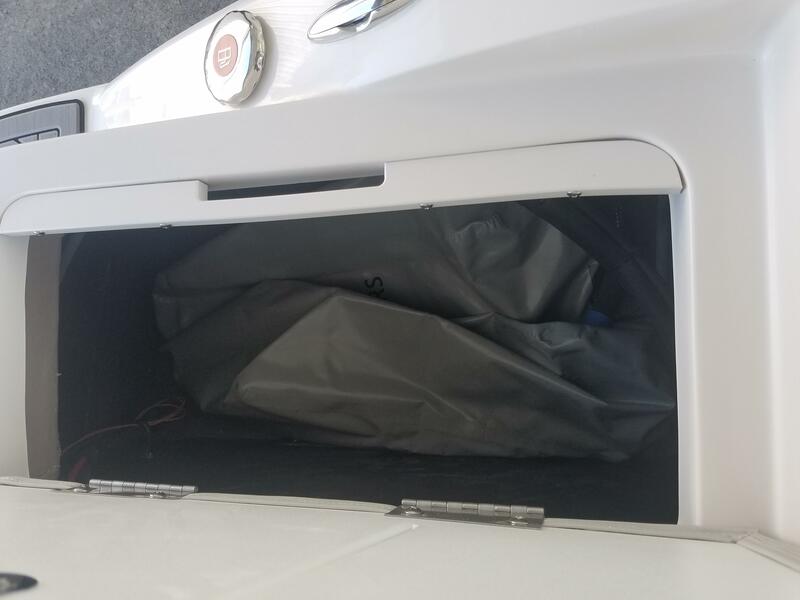 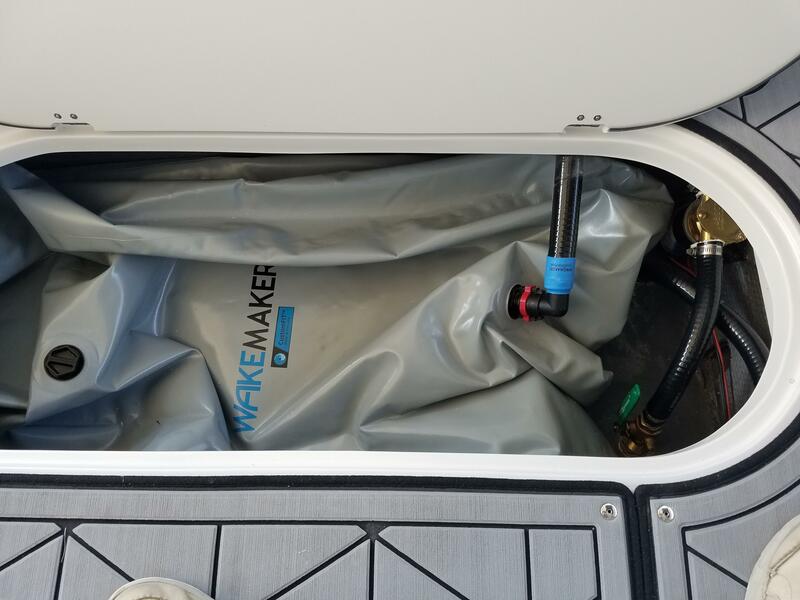 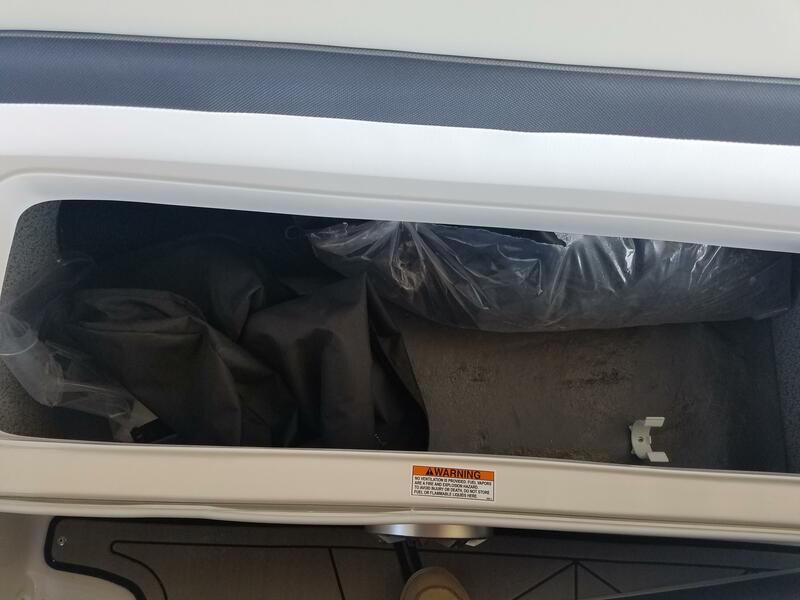 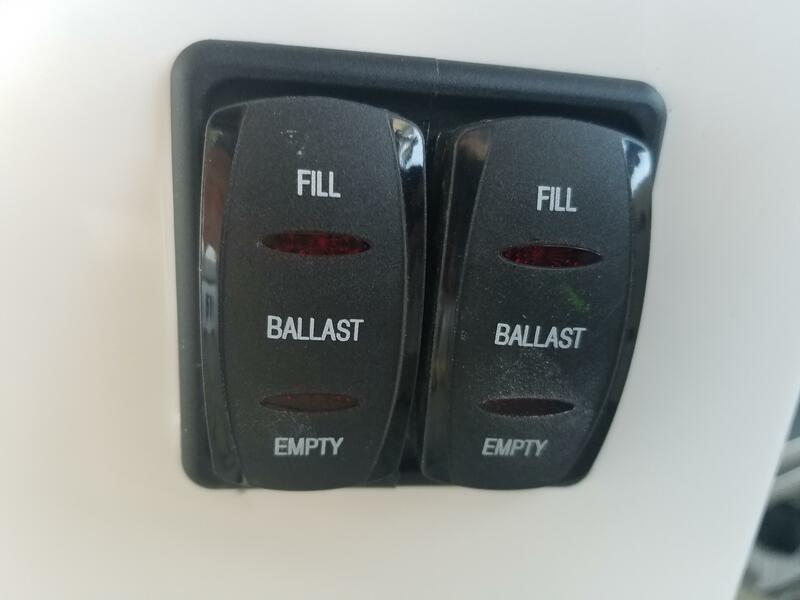 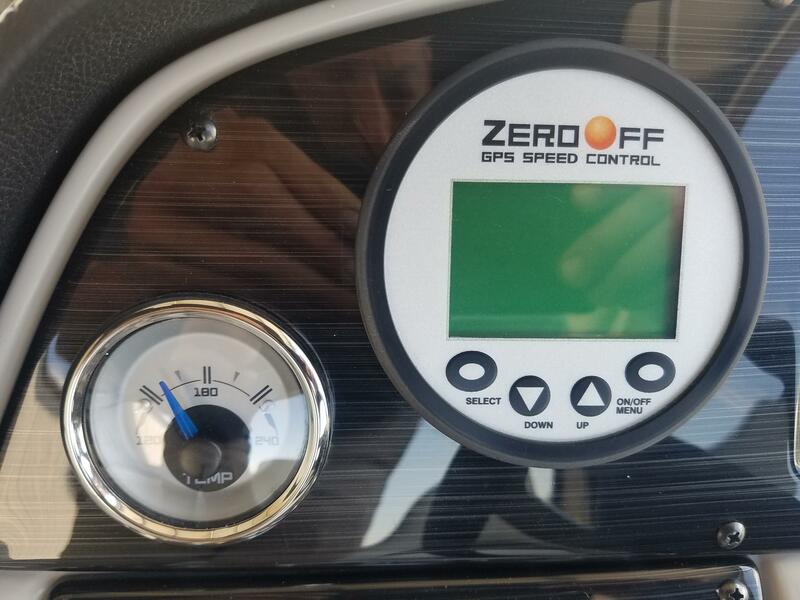 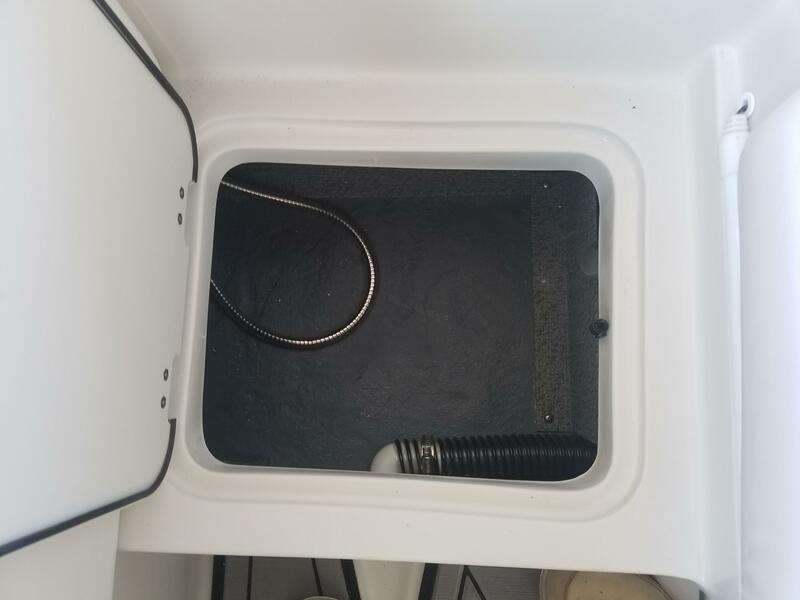 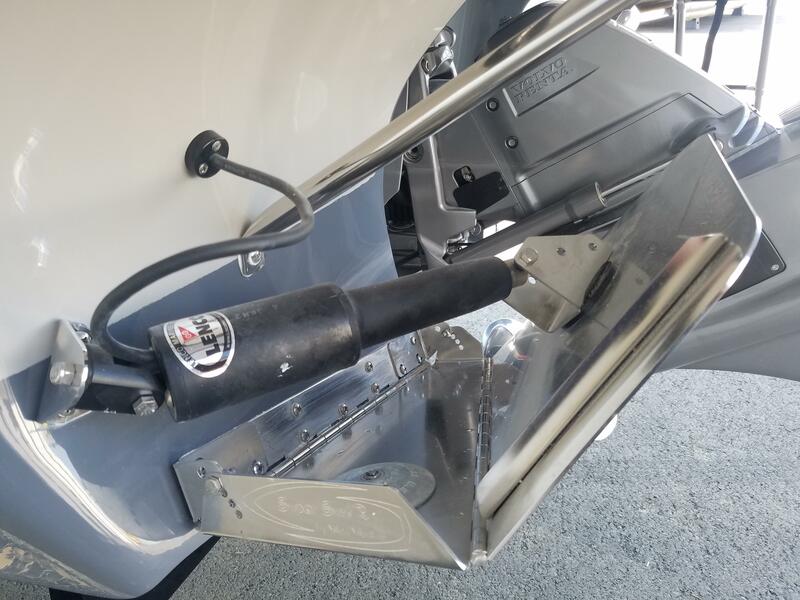 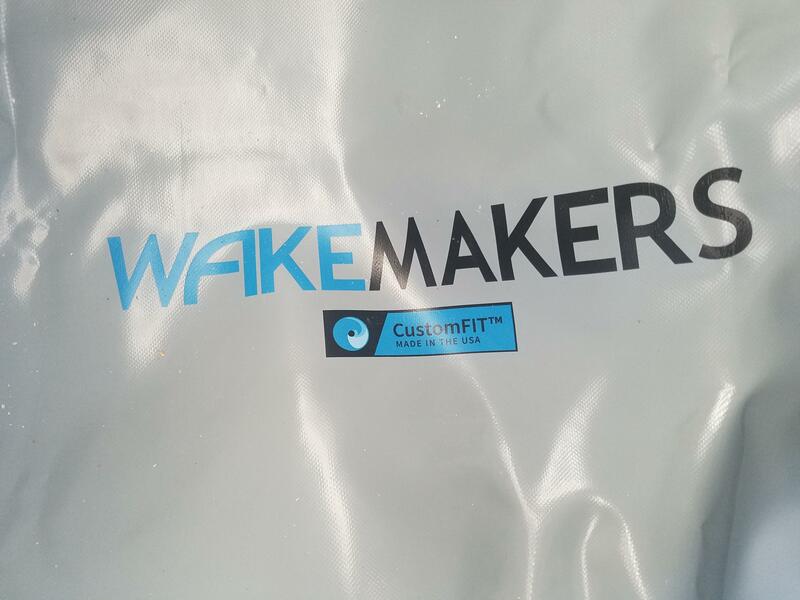 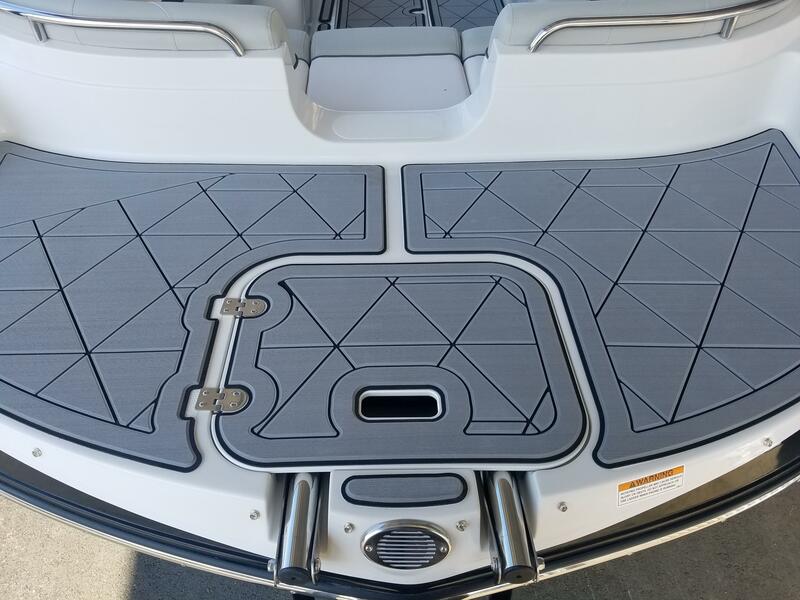 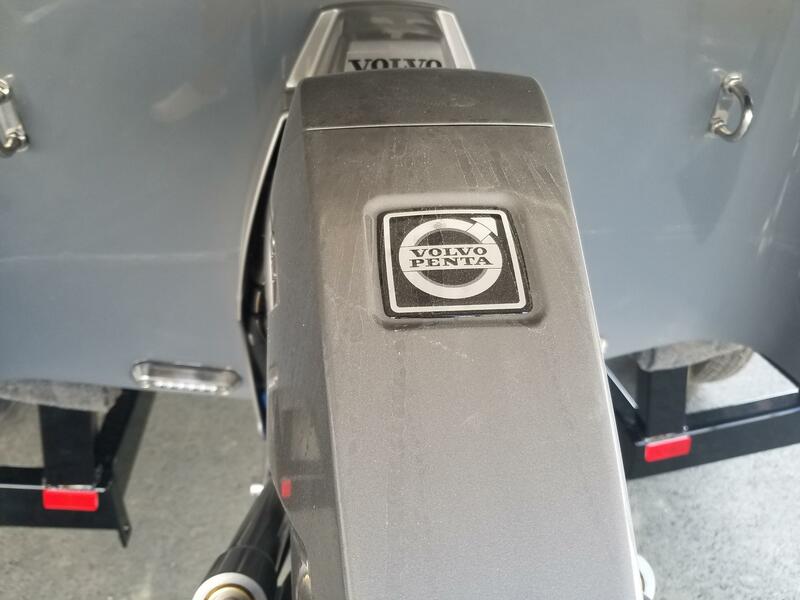 The boat features fast fill ballast bags, adjustable surf tabs, GPS zero off speed control and a extended swim eVA soft touch traction mat throughout the boat. 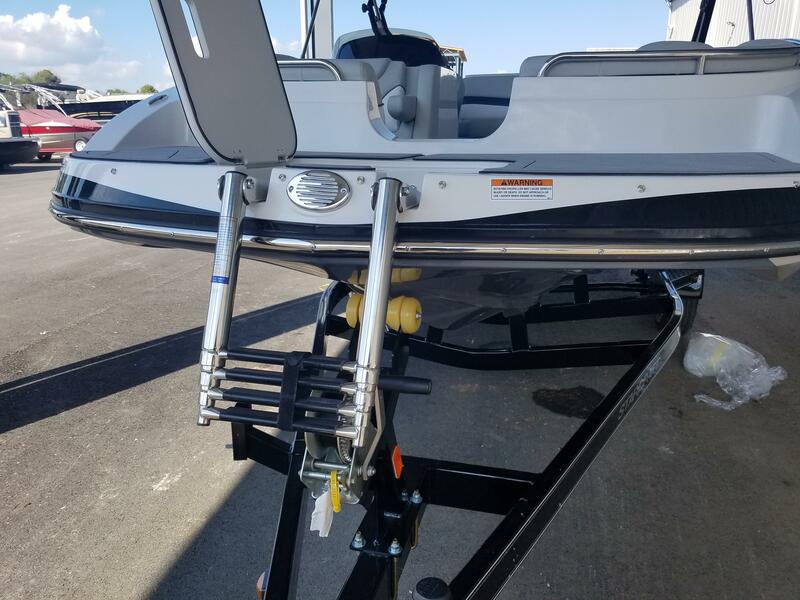 The boat rides on a tandem axle Trailmaster trailer with brakes. 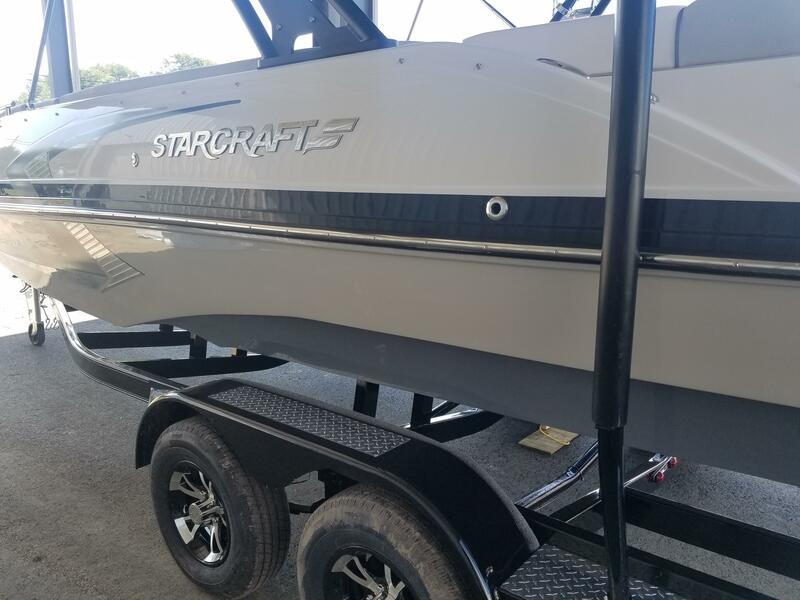 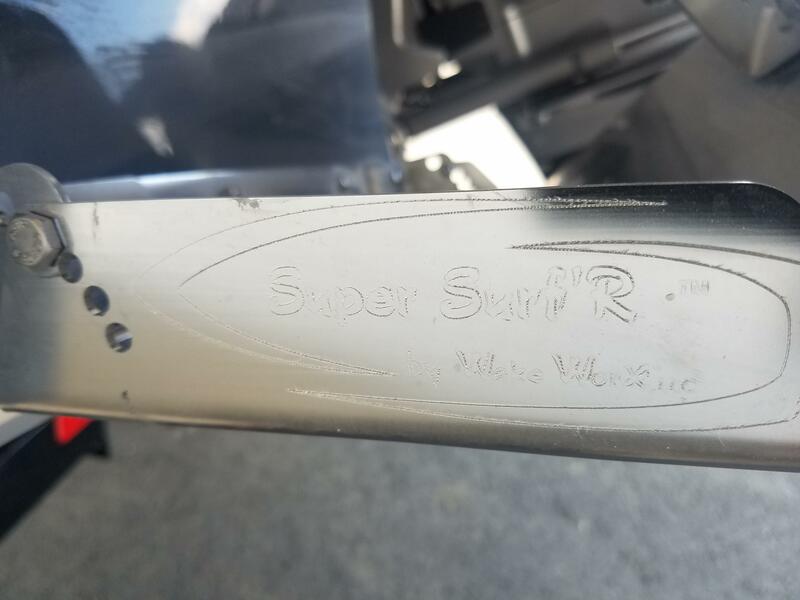 Please call us at (513)-855-4402 with any questions you may have about this boat or any StarCraft boats.